Lynda Singing Lessons 3 Essential Techniques | Free eBooks Download - EBOOKEE! Posted on 2017-07-12, by everest555. Add essential vocal techniques to your toolkit. Add essential vocal techniques to your toolkit. 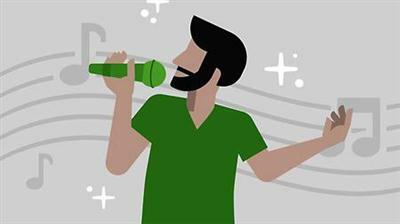 In this course-the third in a series focusing on learning how to sing-discover techniques that can provide you with a solid foundation as a singer. Professional vocalist Lari White breaks down how to harmonize with any music you like to sing, craft your vocal tone by employing vibrato and messa di voce, and work with the chest and head voice. She also gives you a crash course in working with microphones, and explains how to use the Nashville Number System to read and write music. Note: This course was recorded and produced by ArtistWorks. We're pleased to host this training in our library. No comments for "Lynda Singing Lessons 3 Essential Techniques".